Home › ModernTribe's Blog: Modern Jewish Life & Style › No Limit Texas Dreidel is HOT! No Limit Texas Dreidel is HOT! 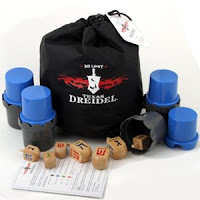 I am so excited that No Limit Texas Dreidel has caught fire in the press, in site visitors, and in sales. We knew all kinds of people would get excited about this party game that combines the traditional Hanukkah dreidel game with no limit Texas hold'em poker! Now it's reached Jewish and mainstream audiences worldwide. We appreciate all the love and encourage you to spread the word too on your blog, facebook page, or twitter! Ima on (and off) the bima blog -- check out her incredibly popular NLTD contest!